Australia’s Hunter Valley is a magnificent region in New South Wales, just north of Sydney. It is primarily a wine growing region popular for wineries tours but there are plenty of other leisure activities for all ages. Perfect for the much-needed couple’s getaway, a family holiday, an adventure holiday, destination wedding or business gathering, there are all levels of comfort and luxury to choose from. Wilderness resorts are a popular choice. In common to all these properties are the large expanses of magnificent Australian bushland and vineyards, teeming with wildlife. Australia’s oldest wine region also offers golf, trails and walks, horse riding, concerts, Aboriginal cultural events, hot air ballooning, cycling, and lying in a hammock (yes, that is an activity!). Set on verdant grounds, in the middle of the Australian winelands and surrounded by bush, Spicers Vineyard estates is a luxurious retreat, most especially for food and wine lovers. 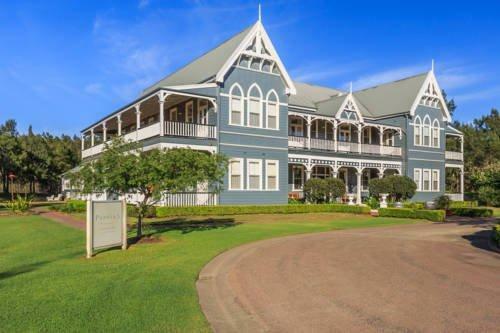 About 2-hours drive from Sydney in Pokolbin, Spicers is perfect for groups, couples, families or wedding parties, the estate has 12 rooms, decorated in a contemporary style with moss greens and neutrals. There are two event spaces, suitable for family gatherings or celebrations. 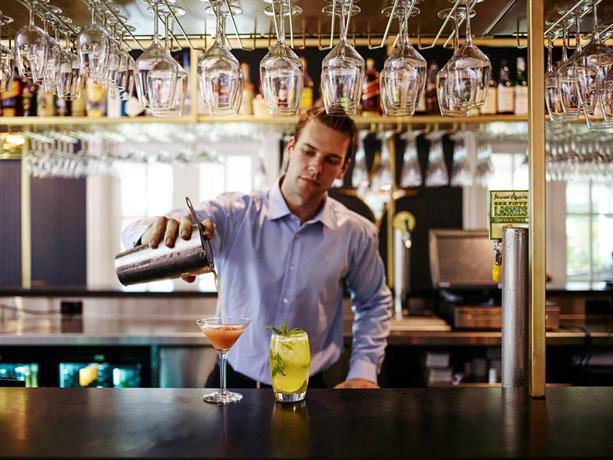 Of course, being in the winelands, the estate has an excellent private wine cellar from which you can choose wines to accompany the delicious cuisine served at the Restaurant Botanica. The elegant Spa Anise offers massages, body wraps, facials and other treatments. Take a bike for some exercise around the property before returning for a dip in the lovely pool. Manzanilla Ridge resort has four secluded high-ceilinged simply furnished cottages on a vast expanse of Australian bush, perfect for a hideaway from the stresses of modern life. Each has its own kitchen, outdoor Jacuzzi and a wood burning fireplace for those cold winter nights. Although back to nature is the theme, the cottages all have TV, DVD and CD player and Bluetooth. 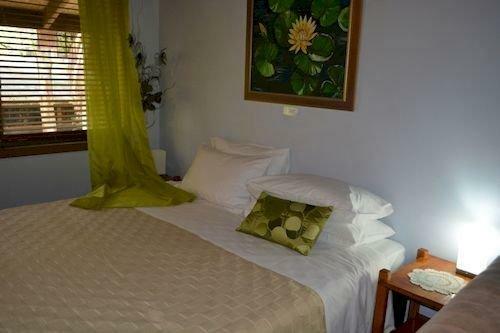 The resort is happy to arrange any number of activities in the Lovedale area. There’s wine tasting and wine tours, horse riding for all levels of experience, hot air ballooning and even skydiving for the more adventurous. The resort itself gives cooking classes using local (smelly) cheeses and chocolate. You’ll find this resort in the Lovedale area of the Hunter Valley in Australia. The Déjà vu Estate is a five-star resort set on 35 acres of prime Australian bushland. Catering to only three couples in three secluded villas, the resort has won the Tripadvisor Certificate of Excellence three years running. The villas are set far apart from each other, offering total privacy. They are all self-catering, and equipped to the highest standards, with European appliances and a Nespresso machine. Need a sprig of organum or rosemary? You have your own herb garden on site. King size beds give you a great night’s sleep and there’s an outdoor plunge spa to cool you down. On cold nights, there are two fireplaces: one in the bedroom and one in the lounge. Stay in and read magazines on the complimentary iPad, or if you’re feeling more energetic, stroll through the glorious bush. The estate is 150 kilometres north of Sydney. The Tonic Hotel expresses itself as opulent minimalism delivering la dolce vita in Lovedale, in the heart of the Hunter Valley. Translated this means a stunning spot, a simple steel and glass design hotel set in native grasses and uninterrupted relaxation. 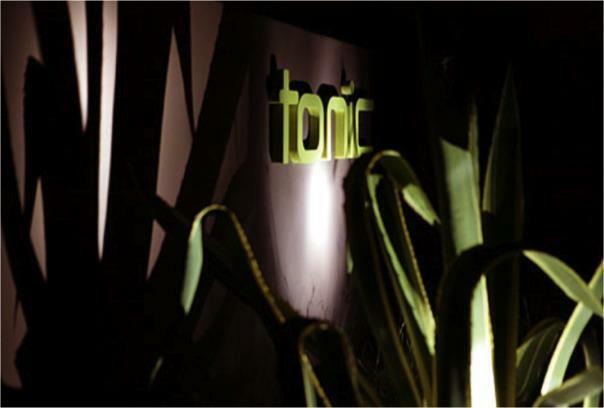 Tonic is perfect for a no-fuss holiday or break. 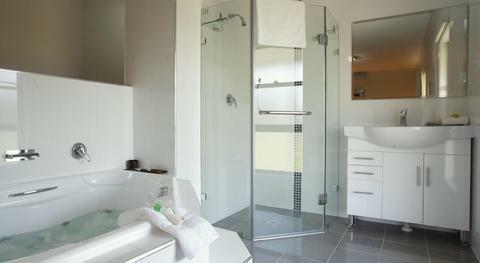 Guests will find crisp linen, fluffy towels, funky furniture, the latest gadgets and excellent but non-invasive service. There are only 8 guest accommodations: 6 large rooms and two self-contained 2-bedroomed apartments. Bathrooms in each are super impressive. Board basis is partly self-catering – the shared kitchen and lounge contain provisions such as frozen homemade curries and a fridge stocked with breakfast ingredients, but the property is surrounded by excellent restaurants. If you can tear yourself away from Tonic, explore the Hunter Valley in all its gloriousness. It’s scenic, bounteous, and beautiful. Carriages is a 10-room boutique hotel between Polkobin and Rothbury, just a few miles from Cessnock. This refined rural retreat offers accommodation in the main house and also the gatehouse cottage. The cottage has two characterful private spa suites which share a sitting room with big log fire and a self-contained kitchen. Six rooms in the main house are en-suite and have French doors to a sunny verandah. There’s also two spacious deluxe suites in the pretty main house which features gables and lots of timber. 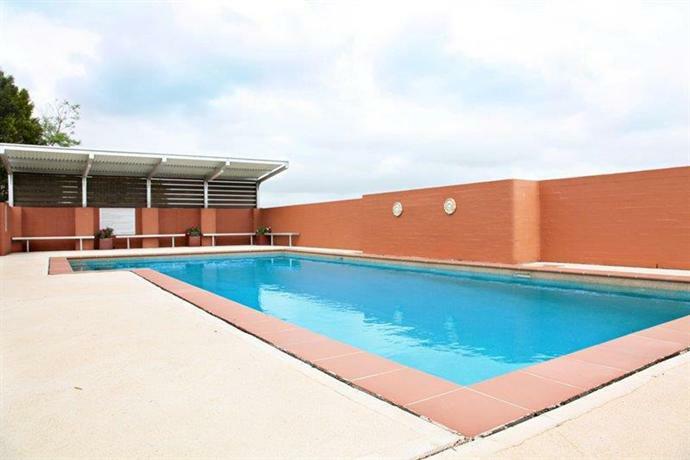 Guests can enjoy a pool and there’s also a lake on the estate as well as well-manicured lawns. 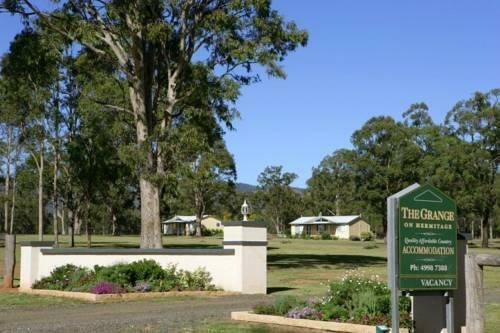 Picturesque Talga is ideally located for exploring the charms of the Hunter Valley which includes winery tours, outdoor activities – walking, cycling, hot air ballooning -, restaurants, and cultural activities. 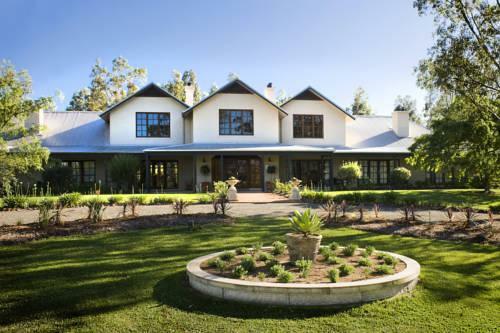 The Talga Estate offers 5-star luxury accommodation in the Hunter Valley close to the Hunter Valley Gardens. The estate is 25 acres of established vineyards and pomegranate orchards and guests are housed in cottages that offer apartment-style living. The boutique cabins are either single or two bedrooms designed with ultimate comfort in mind. Each has fully fitted and well equipped kitchen, comfortable bedroom(s), relaxing and stylish lounge and luxurious bathroom with hydrotherapy spa. Talga is the ideal location for all sorts of holidays – weekend breaks, wineries tours, adventure holidays, walking tours, foodie trips, romantic getaways and even business trips. The area boasts world class cellar doors, excellent restaurants, a host of outdoor activities and plenty of cultural events and sights. Stay on the ground, climb on a horse or take the skies in a hot air balloon or helicopter. This hotel in Coonamble was once a Convent for the Brigidine order of nuns but there’s nothing austere about this award winning hotel now. Instead, there’s a very European luxury feel to this lovely estate in the Hunter Valley, just two hours north of Sydney. The 19 guest rooms and suites are decorated in French style, with fine fabrics, chandeliers and soft white linens. French doors open on to verandahs overlooking the estate. It’s a favorite spot for an intimate wedding, but equally for upmarket conferencing. Guests can dine on the estate at two restaurants: Hatted restaurant Circa 1876 has a fork to table ethos while Restaurant Eighty Eight overlooks the wisteria courtyard and specializes in breakfast and high tea (dinner is served too). Nearby activities include wineries with cellar doors, outdoor adventures including hot air ballooning and a calendar of concerts. Just under two hour’s drive north of Sydney is the Cam-Way estate, located in the heart of the Hunter Valley in Pokolbin Central. The estate has a large range of accommodation options, from suites and villas to self-contained cottages. When not exploring the vineyards and restaurants in the area, there’s a host of activities to keep you and your family entertained on site. Fancy a putt? You can practice your golf. There’s tennis for those so inclined and a salt-water pool. Or you can stroll around the grounds—there are 60 acres of it. The Chateau Elan Health Spa is a short drive away, and if you like aerial views, take a hot air balloon over the valley from nearby. All in all, something for everyone at the Cam-Way Estate. The Grange of Hermitage is a 28-acre farm and vineyard to the west of Rothbury. The grange offers several two-bedroom cottages suitable for up to 6 people, or guestrooms that accommodate 2 people, and each is entirely self-catering, although breakfast provisions are provided. Guest rooms enjoy private entrances. The accommodation provides everything you could need for cooking a lovely meal, as well as your linen and TV, DVD and CD. 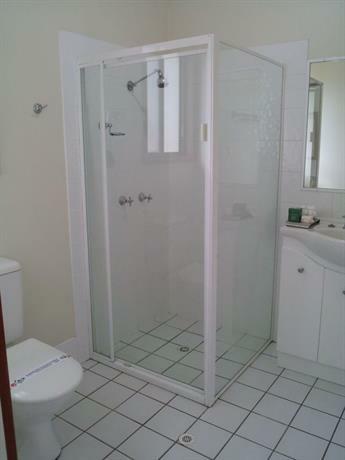 The cottages have spa bathrooms and are accessible to disabled guests. Now’s your time to see a kangaroo if you’ve never see one as they wander through the farm at sunset. If you feel like doing something active in the day, you can walk through the farm or visit the wineries, restaurants and art galleries in the area. Adina offers family-friendly fully self-contained accommodation in the Lovedale area of Hunter Valley. 3 separately located lodges offer 3 king or queen bedrooms with en-suites. 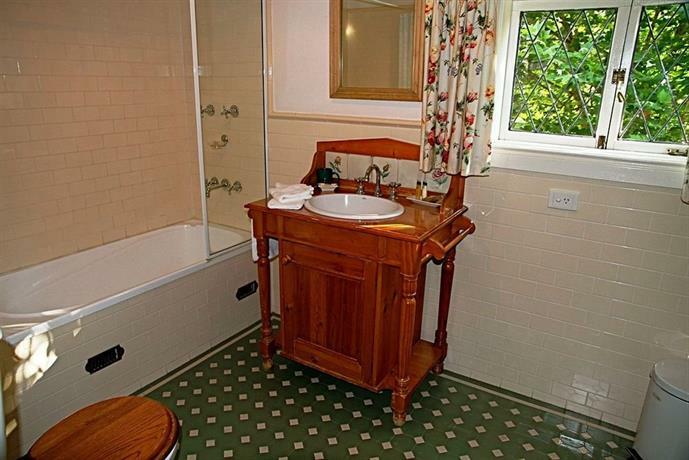 one with a spa bath, air conditioning, gas log fires, and kitchens with dishwasher and microwave. Each overlooks the vineyards. Have an outdoor barbecue while enjoying views of the Brokenback Mountains. Guests have access to the swimming pool and cellar door which sells wines and products from the olive grove. Emerson’s Restaurant is a short walk from the lodges as is the Reflections Day Spa. The Lovedale area is a showcase of everything loved about the Hunter Valley, so there’s no shortage of things to see and do. Be a foodie and visit superb restaurants, be an adventurer and see the Valley from the air by balloon or helicopter, get active on a walk, bike or horse, or experience Aussie culture at concerts, galleries and museums. 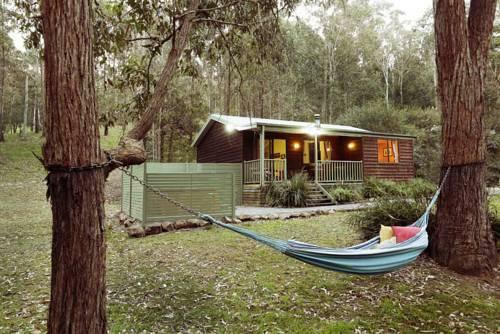 Wood cabins, comfy décor, bushland smells, flora and fauna – there are the hallmarks of the Cottages on Mount View Pokolbin in the Hunter’s valley. There is a range of cottages, catering for parties of 2 people or larger. If you choose a deluxe cottage, there’s an outdoor spa from which to view the stars. Laze around on the hammock during the day, before making a yummy barbeque on your deck. The resort is also an excellent point of departure for visits to the wineries in the area, or a round of golf nearby. There are often outdoor concerts in the vicinity, for which the resort offers return bus rides. The cottages are just two hours north of Sydney, making this a perfect weekend getaway. 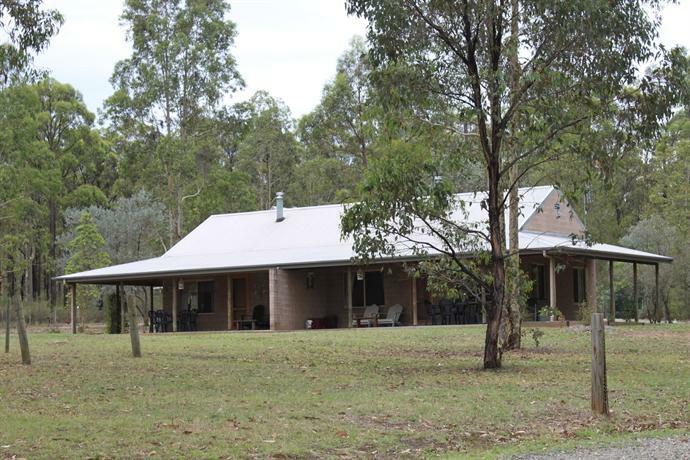 For an escape from the stresses of a harried world, take a two-hour trip north of Hornsby to the Salisbury Lodges. 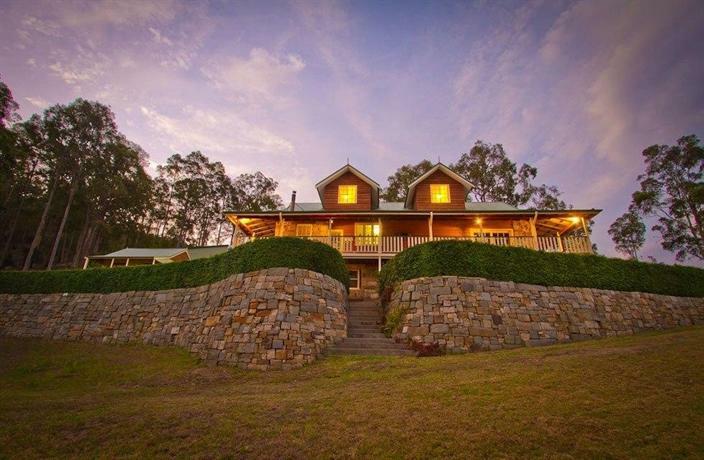 The property borders the World Heritage Barrington Tops National Park and fronts the pristine Williams River, making its mornings cool and crisp and its sunsets spectacular. There are self-contained lake lodges, which are actually tree houses that overlook the water which is teeming with turtles, ducks and fish. Spa rooms are smaller but comfortable and have basic appliances for cooking – their main attraction is the gorgeous bush and birdlife. For bigger groups, there’s a three-bedroomed lodge. Art lovers can take in the work done by local artists of the Dungog Art Society, and there’s no shortage of other outdoor activities such as walking and swimming. The Sebel Kirkton Park Hunter Valley resort has positioned itself to cater for the luxury leisure, wedding and business market. In the heart of Pokolbin, surrounded by vineyards and wineries, and set on 70 acres of grounds, the luxury boutique hotel is a relaxing break from life, even if you’re there to work. The rooms are elegant and tasteful, having been designed by well-known interior designer Greg Natale. There are four restaurants to choose from, as well as a number of wineries and cheesemakers close by. The resort has an indoor pool, spa, sauna, fitness center, tennis and basketball courts. Five meeting rooms cater for all sizes of gatherings, and are equipped with state-of-the-art appliances. AV specialists are on hand. Wine pairings with tasting menus can be arranged for up to 25 people. Woodlane offers comfortable cottages and villas on a 24-acre estate in the Hunter’s Valley. The cottages and villas are fully equipped, for a real home away from home in the woods! The villas are designed for couples to enjoy a romantic cozy getaway, while the cottages, each with 3 queen bedrooms and 1 twin room, suit families or groups. All accommodation is very well facilitated for self-catering so guests really do only need to bring food and drink. This is a great affordable and relaxed place to stay for wineries tours or concerts at Hope Estate, Bimbadgen or Roche Estate. The Hunter Valley Zoo is a short distance away, there’s plenty of outdoor activities in the area and the valleys small towns offer plenty of entertainments. 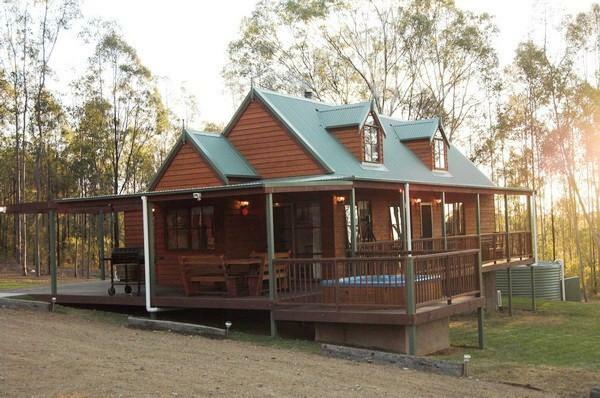 Bimbadeen Mountain Retreat offer luxury bed and breakfast accommodation in the Hunter Valley. Guests can choose to stay in a deluxe spa suite or the cottage. The suites have queen timber beds, bar fridges, and TV and large spa baths. Gourmet continental breakfast is delivered to the suites’ private balconies. The fully self-contained air-conditioned self-catering cottage sits on the mountainside. The cottage and the rooms enjoy breathtaking views of the mountains and the property is peaceful except for the sound of birds in the trees. The property has excellent walking tracks to view the magnificent birdlife. Bimbadeen operates private guided winery tours but you can go your own way, visiting wineries and cellar doors, eating at brilliant restaurants, touring the beautiful countryside from the ground or air, and be as relaxed or as active as your mood takes you.